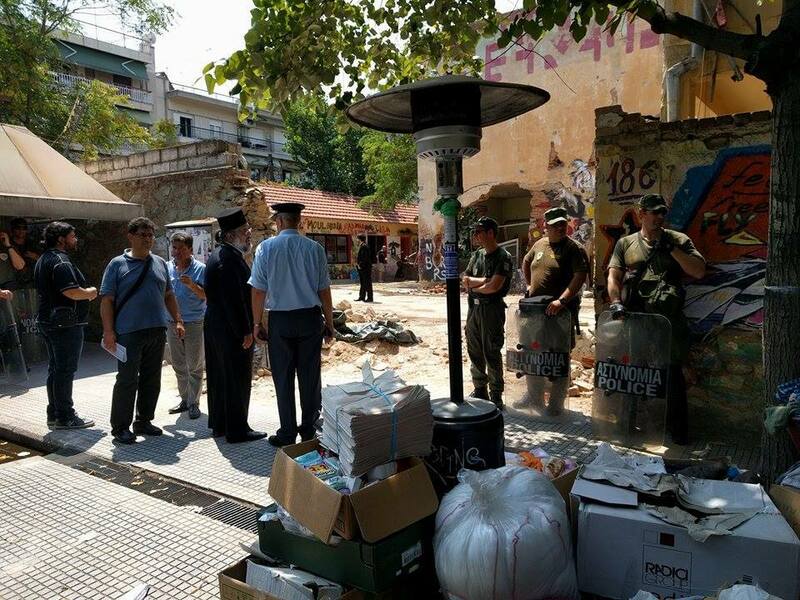 Today, exactly one year ago, refugee families and supporters who were sleeping at Thessaloniki’s three occupied refugee shelters — Nikis, Orfanotrofeio and Hurriya — were woken up by police in riot gear. We here present an article from last summer by Theodoros Karyotis who is one of the keynote speakers at our upcoming conference in Thessaloniki. Most importantly, militant collectives and groups of refugees occupied a host of empty buildings throughout Greece, to be used as self-managed refugee shelters — notably Notaraand City Plaza in Athens, as well as Orfanotrofeio and Hurriya in Thessaloniki. Other long-existing squats opened their doors to refugee families, including Nikis squat, evicted by police last Wednesday. The scaremongering and repression culminated during the No Border Camp in Thessalonikibetween July 15-24, when thousands of activists from around the continent met to protest — along with the refugees — the conditions of neglect and confinement in refugee camps and the impermeability of national borders that led to the present state of affairs. Mainstream media reporters documented and criticized every detail of the No Border Camp, which took place at occupied university grounds, after a last-minute refusal of the university authorities to grant permission to the organizers. 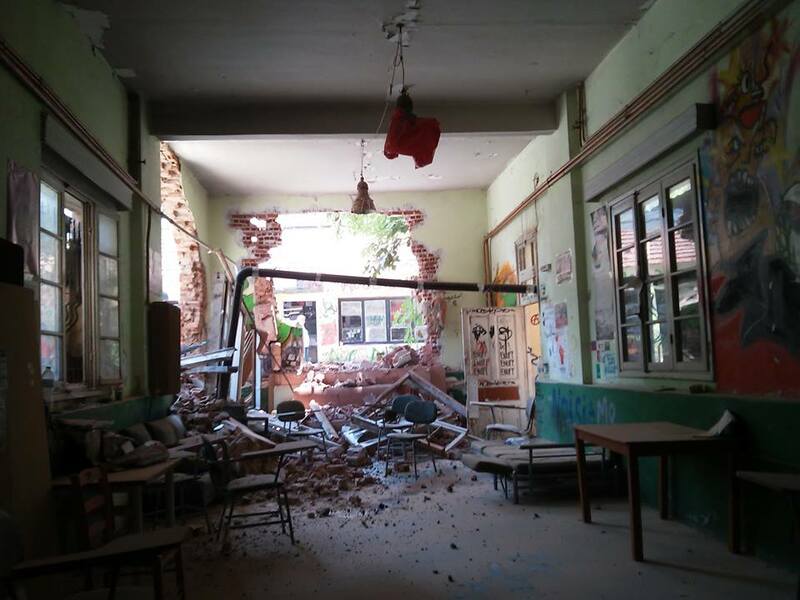 A carefully calculated scare campaign during the camp was used to pave the way for the repressive operation of July 27, with the eviction of three occupied refugee shelters. 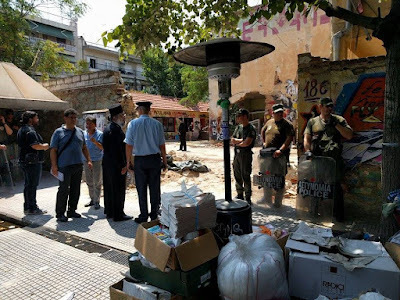 True to the surrealist political climate in Greece in the last year, the governing Syriza partycondemned the raids as an “attempt at the criminalization of solidarity endeavors that runs contrary to the principles and values of the left,” while government officials blamed the police operation on the initiatives of the public prosecutor.